Home » D'Lugo and DeFlora » What is a Contested Divorce in Florida? 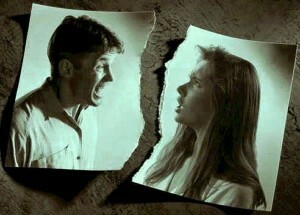 Divorces, as we all know, are most often a very challenging, negative and sometimes combative scenario. All too often both parties can’t agree on the primary terms of the divorce, such as division of assets, allocation of debts, alimony, child support, children time sharing, or even the divorce itself. When this is the case the divorce is considered contested. The process begins with a petition for dissolution of marriage, filed with the circuit court in the county where you and your spouse last lived together, or in a county where either party resides. Florida is a no-fault divorce state, which means that a divorce can be based on irreconcilable differences. Either spouse may file for a dissolution of marriage. The petitioner must allege that the marriage is irretrievably broken. The petition sets out what the petitioner wants from the court. The other spouse must file an answer within 20 days of being served, addressing the matters in the initial petition, and can choose to include a counter-petition for dissolution of marriage raising any additional issues that spouse requests the court to address. A contested divorce in Florida requires “mandatory disclosure.” Both spouses must complete an extensive financial affidavit providing details such as expenses, income, assets and debts. When spouses have children, much of the same information must be included in a mandatory child support worksheet. A copy of both the affidavit and worksheet must be submitted to the court. You must exchange copies with your spouse as well within 45 days after your spouse receives your petition for dissolution. Every case is different and dissolution of marriage cases can be particularly complicated. That’s why, it is in your best interest to seek the advice and counsel of an experienced lawyer with knowledge as to your rights, your children’s rights, your property rights, and your responsibilities resulting from the marriage. D’Lugo and DeFlora, P.A. can analyze your unique situation and help you make decisions in your best interest and that of your family. If you find yourself needing support, legal information or help, call D’Lugo and DeFlora for a consultation at 407.870.5551 or online at www.kissimmeefamilylaw.com.